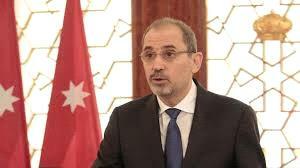 AMMONNEWS - Arab League Secretary General Ahmed Abul Gheit conferred on Monday with Jordanian Foreign Minister Ayman al Safadi on issues raised at the Arab-European Summit, currently convening. Arab League Spokesman Ambassador Mahmoud Afifi said they discussed means of promoting relations with the European side and means of buttressing mutual cooperation and coordination for the best interests of the Arab nations. They highlighted the importance of working with the European Union to back the settlement of the Palestinian issue, implement the two-state solution and obtain the legitimate rights of the Palestinians especially that of the establishment of their independent state with East Jerusalem as its capital. They also addressed the importance of reaching an agreement vis-a-vis conditions in Syria, Yemen and Libya as well as reaching a common ground on issues of combating terrorism and illegal migration.